Everyone says that they have a big screen tvs, but they don't realize that their 65 inch television isn't a big screen. 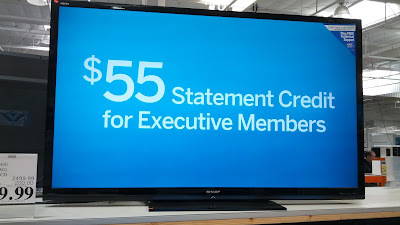 When I think about big screen tvs, this one (Sharp LC80LE642U) is definitely one of them with a display size at a whopping 80 inches! It's so big that watching Super Bowl 49 between the Seattle Seahawks and New England Patriots on this bad boy will be like you're in the huddle with Tom Brady and Russell Wilson. 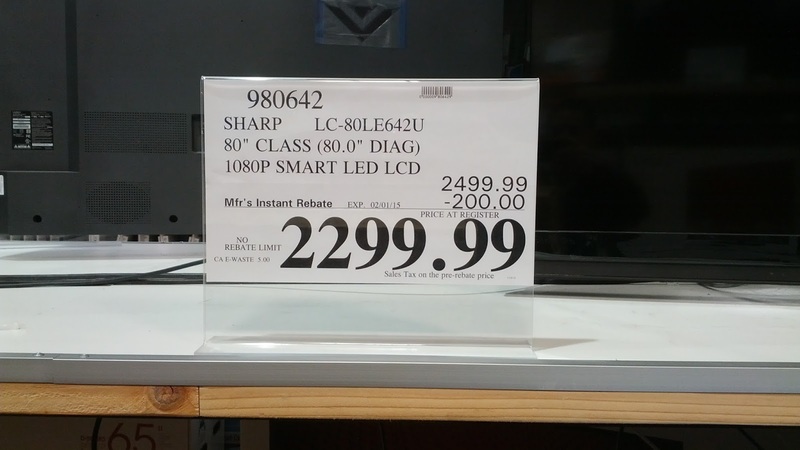 Costco offers this tv with a manufacturers rebate in time for the Super Bowl. You'll definitely want to take advantage of this deal so you can watch the big game on this big tv. You'll feel like you're playing in the Super Bowl when you're watching the big game on a 80" tv. The Sharp LC-80LE642U Smart TV lets you watch tv with good quality and high clarity. View high-definition content and browse the Internet with the Sharp LC-80LE642U AQUOS 80" 1080p LED Smart TV. 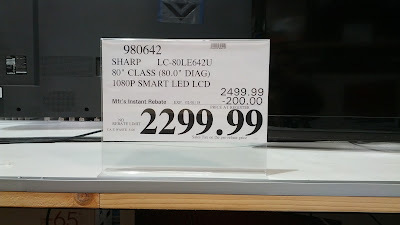 This television has a native resolution of 1920 x 1080 and features a 120Hz refresh rate to combat distortion on fast-moving content like televised sporting events. This Sharp AQUOS also features a 4,000,000:1 dynamic contrast ratio, which adds depth to on-screen content and showcases the TV's ability to handle light and dark images. 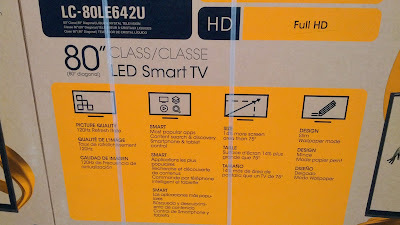 For connecting to the TV's SmartCentral web interface, this model offers Ethernet and 802.11a/b/g/n Wi-Fi connectivity. A Flash-enabled web-browser is also included, which allows you to view Internet pages that include flash-created animations.